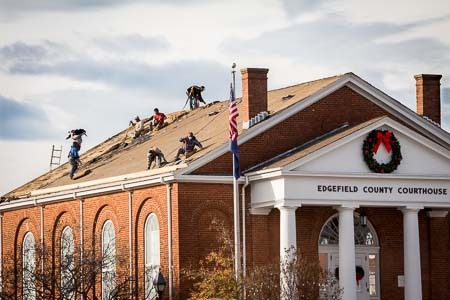 Work began Monday, December 2, to replace the Edgefield County Courthouse. We caught the workers high on the roof removing the old to make way for the new. 2 Responses to "A New Roof for the Courthouse"